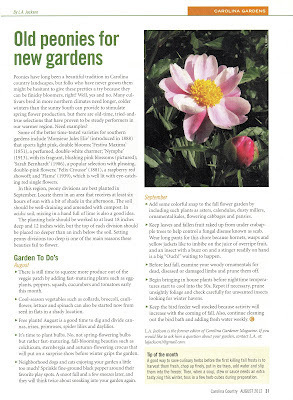 I was delighted to see an article on peonies in latest issue of Carolina Country magazine. Carolina Country is a free magazine that's published by my electric cooperative and has several features every month. 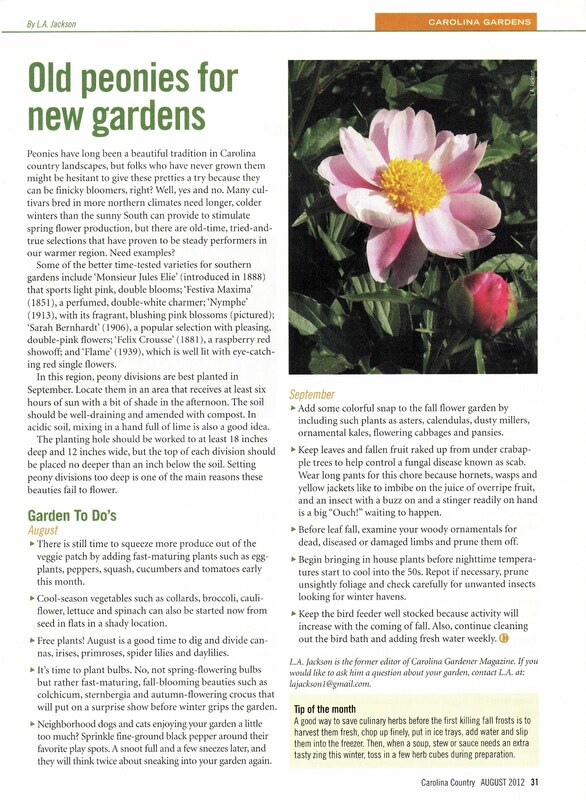 One of the feature sections is on gardening, and this month there is an article called 'Old Peonies for New Gardens' by L.A. Jackson. 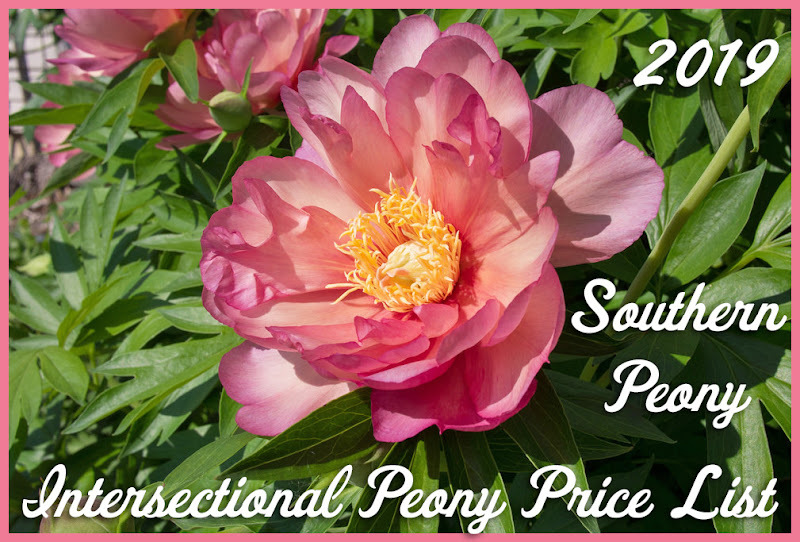 It goes over several tips for planting peonies in our area like planting peonies in September, growing them in 6 hours of sun, a planting hole at least 18" deep X 12" wide, and planting no more than 2 inches deep. I agree with most of what he says. However I never plant my peonies 2 inches deep. I plant them pretty much even with the surface, with their pink eyes just barely peeking out. He also mentions, "Setting peony divisions too deep is one of the main reasons these beauties fail to flower. ", with which I wholeheartedly agree! That's probably the most important thing in the whole article! It is very important to plant peonies as close to the surface as possible. 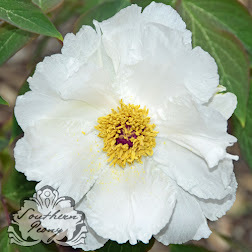 He also mentions some "time-tested" varieties for southern gardens: Peony 'Felix Crousse' (raspberry red double), Peony 'Festiva Maxima' (white double), Peony 'Flame' (red single), Peony 'Monsieur Jules Elie' (pink double), Peony 'Nymphe' (pink single), and Peony 'Sarah Bernhardt' (pink double). I grow all of these selections, and they have all bloomed for me here in my zone 7 southern garden. So these are all probably safe bets. :) Happy Gardening!